"The cream tends to rise to the top eventually and we have to go back a long way to find a big outsider winning. Watson was seeded 35th and he was an [80.0] chance but he was the first in 12 years to be ranked any worse than 21st and nine of the last 12 winners have been seeded between first and tenth." The WGC - Dell Technologies Match Play was first staged back in 1999, when 100/1 shot, Jeff Maggert, beat 150/1 chance, Andrew Magee, in the final. After a couple of years at the La Costa Resort and Spa in Carlsford, California, the event went Down Under in 2001 but few of the game's star names could be bothered to travel that far so that idea was abandoned after just one edition and it's been held in the States ever since. The event remained at La Costa up until 2006 before it then moved to the Gallery Golf Club in Arizona for two years. After six years at Dove Mountain in Arizona, the tournament was staged at Harding Park in 2015 before it switched to the Austin Country Club in Texas in 2016 and we return there this year for a fourth time. In addition to all the different venues, the tournament has also had several format changes and more than a few sponsors. First, we had the failed attempt to travel the globe and in recent years there were constant murmurings that the majority of players didn't like Dove Mountain, but the biggest problem had been sponsorship. The old straight knockout format saw many a star name on their way home after just one day and that's not ideal for the players or the sponsors so something had to change. I used to quite enjoy the first round, with 32 matches creating all sorts of shocks, but I did tend to lose interest as the event progressed and I can see why it changed in 2015. We now have 16 groups of four so everyone gets to play at least three ties - provided there aren't any withdrawals. Players and sponsors are both happier and it should safeguard the tournament for many years to come. Dell, who began sponsoring the event three years ago, signed up again for this year, so the decision to change from a straight knockout to a group format has already been vindicated. The tournament is supposed to be for the top-64 in the world rankings but with the tournament positioned so close to the US Masters, there are always a couple of players at least that give it a miss. This year's only absentees are Rickie Fowler and Adam Scott (who both swerved the event in 2017 and 2018 as well). The top-16 ranked players are all seeded and have been kept apart in 16 groups. Over the first three days, starting on Wednesday, each player in each group plays each other to determine who progresses. Group games can be drawn and they won't go beyond 18 holes. In the event of a tie, both players will be awarded ½ point. The player with the best record in each of the 16 four-player groups advances to the Round of 16 for single-elimination match play (in the event of a two-way tie in a group, if the format is the same as last time, head-to-head match results will be used as the tiebreaker; a three-way tie will require a sudden-death stroke play hole by hole playoff). On Saturday morning the winners of each group meet in the round of 16, with the quarter-finals being staged on Saturday afternoon. The semi-finals and final, as well as the third-place playoff, or consolation match, will be played on Sunday. The Pete Dye-designed Austin Country Club Course, created in 1980, isn't long at just a shade over 7,000 yards. Situated by the shores of Lake Austin and carved through cedar and oak woodland, it's very easy on the eye and with four reachable par fives and a drivable par four, there are plenty of risk-reward holes and we'll witness plenty of drama throughout the week. For more on the course, please see this interview with Rafa Cabrera-Bello that was published two years ago on the European Tour website. What Will it Take to Win the WGC - Dell Technologies Match Play? Plenty of match play experience is always a plus so focus on the results of previous renewals of this event, the Ryder Cup and the Presidents Cup but for a brilliant easy to assess look at all the match play form for all the players, check out Adam Sarson's brilliant work here. Being fit and injury-free could be key this week given whoever wins will have to play seven matches over five days with two matches on Saturday and two on Sunday. They'll also have to be able to handle breezy conditions as there's plenty of wind forecast. Don't be afraid to back someone that can get in their own way in stroke play events. Match play is a very different format. The players only have their opponent to worry about and there are numerous examples of players that struggle in-the-mix in stroke play, thriving in this format. Fairly recent winners, Hunter Mahan and Matt Kuchar, haven't won the number of stroke play events their talents deserve (although Kuchar is starting to tick them off now) and while he's now an accomplished major winner with a solid in-contention record and 12 PGA Tour titles, Jason Day had won only once on the PGA Tour (four years previous) when he won this title for a first time in 2014. For the second year in-row, only two of the top-eight seeds made it through to the knockout phase last year. The number two seed, Justin Thomas, who lost to the eventual winner, Bubba Watson, and Sergio Garcia, the number seven seed, who lost to Kyle Stanley in the round of 16. In 2017, the eventual winner and number one seed, Dustin Johnson, and the number eight seed, Alex Noren, were the only two to progress to the knockout phase and in each of the last three years, a rank outsider has reached the last four. Rafa Cabrera-Bello (who can be described as one of those that struggle in-the-mix in stroke play) was beaten by Louis Oosthuizen in the semi-finals three years ago, the number 54 seed, Hideto Tanihara, who was matched before the off at [800.0], was beaten by DJ in the semis in 2017, and last year, Kevin Kisner, a pre-event [300.0] chance, who was matched at a high of [460.0] reached the final. He's arguably another player that can struggle in-contention in stroke play events and he was like a rabbit in the headlights against Bubba. Kisner had been somewhat fortuitous to make the final given his semi-final opponent, Alex Noren, was matched at [1.16] in-running but he lost the plot a bit in the final and was six down after just seven holes with Bubba only making one birdie. Kisner rallied slightly but eventually lost the dullest of finals 7&6. The cream tends to rise to the top eventually and we have to go back a long way to find a big outsider winning. Watson was seeded 35th and he was an [80.0] chance but he was the first in 12 years to be ranked any worse than 21st and nine of the last 12 winners have been seeded between first and tenth. The other two winners, the aforementioned Mahan and Kuchar, were both ranked 21st. In the very early days, with a lot of the big names swerving the tournament, outsiders fared quite well and we saw four big priced winners in-row. The inaugural winner, Maggert, Darren Clarke (2000), Steve Stricker (2001) and Kevin Sutherland (2002) were all matched at triple-figure odds but it's been all change since and the 2006 winner, Geoff Ogilvy, who was seeded 52nd, remains the only triple-figure priced winner since 2002. The Australian, who later that year won the US Open, was a 150/1 shot. Although Bubba was relatively unfancied, he was the fourth winner in-a-row to have won earlier in the year (Day and DJ had won last time out!) and he was the second in-a-row to have won the Genesis Open earlier in the year. A good omen for J.B Holmes fans. Since the introduction of the group phase over the first three days, the three winners prior to Watson had been seeded either first (twice) or second. Previous experience of the pressure cooker atmosphere of the Ryder Cup has so far proven invaluable. In 2013, six of the last eight were all experienced Ryder Cuppers and Robert Garrigus, who succumbed to eventual winner, Matt Kuchar, 3 & 2 in the quarter-finals, was the only one that could be described as not having significant team match play experience. The other non Ryder-Cupper was the 2016 winner, Day, but he had plenty of Presidents Cup experience anyway. Watson is a two-time US Masters winner who's represented his country at both the President's Cup and the Ryder Cup and he had reasonable event form too, having won 14 of 23 previous ties. DJ didn't have a brilliant bank of tournament form before he won in 2018 but he's the exception and not the rule. Previous tournament form is a very strong indicator. Tiger Woods, Geoff Ogilvy and Jason Day are all multiple title winners and I'd think twice about backing anyone that hasn't previously enjoyed a degree of success in the event. The match play is a tricky and infuriating tournament to bet on so arguably the best way to play the tournament is to wait until it starts and to watch the early play. It was soon obvious who the form horses were last year. Watson was sensational on Wednesday, playing his first nine holes in 28 strokes to go 6-up on Branden Grace and anyone that jumped on him then will have still got a decent price. And although Noren didn't quite go all the way but he was clearly playing better than anyone else in his half of the draw. If you want to bet on the individual ties, Dave Tindall's tweet below suggests there's a very definite trend in favour of backing the lower seed (assuming they're the outsiders far more often than not). Have crunched some numbers for the @DellMatchPlay. And finally, if you're planning on betting in-running, prior to the semi-finals last year, only 14% of players trailing after nine holes managed to win. Rory McIlroy is firming up at the head of the market and I'm not surprised. I would have backed him at [13.0] but he's just a shade short at less than [12.0]. The 2015 winner has a very decent record but he lost two of his three group games last year and I'm happy to let him go unbacked at his current price. Dustin Johnson put up a woeful defence 12 months ago, losing all three of his group matches and after yesterday's extremely disappointing finish at the Valspar Championship he looks one to be wary of. It's never easy to gauge DJ's wellbeing though and he's just as liable to waltz his way to glory as he is to bomb again. 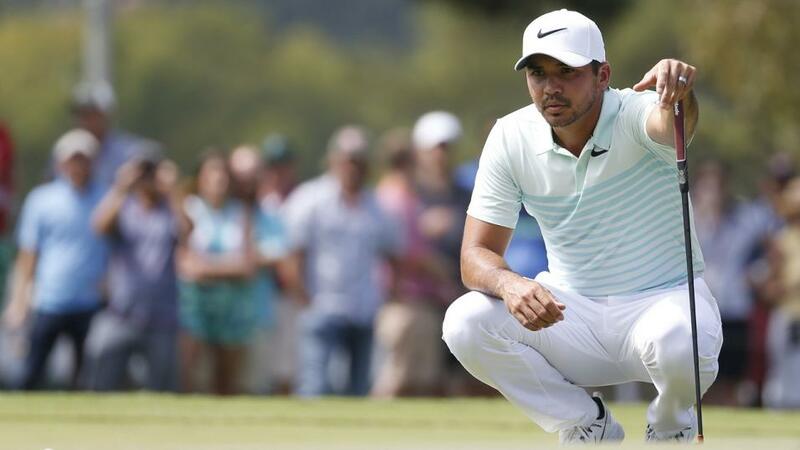 Although he's yet to win this year, the two-time winner, Jason Day, has been in decent form of late and he clearly loves this format so I was happy to chance him but other than a small each-way play, that's it for now. This tournament is a punting minefield as far as I'm concerned - we have some reasonable enough trends to ponder and sticking with the more fancied players makes sense (especially if they've won recently) but it's a horrible tournament to bet on. Players can play well and lose a single match and go out and players can underperform and win matches if their opponent has a particularly bad day at the office. All things considered, I just don't enjoy the event but we have been thrown a lifeline with the Sportsbook offering a juicy eight places. I missed the early 33/1 about the defending champ, Watson, who has a habit of winning the same events, but I've had a small each-way wager on Matt Wallace at 100/1. If he wins his group, he only needs to win his round of 16 match on Friday and the place part is secured. As the draw hasn't yet been published, I might yet add another one or two and I'll tweet those if I do. I'll also be back tomorrow with a preview of the week's other events - the Indian Open and the Corales Puntacana R&C Championship from the Dominican Republic.